R.I.P Professor Hawking. Thank you for your mind. 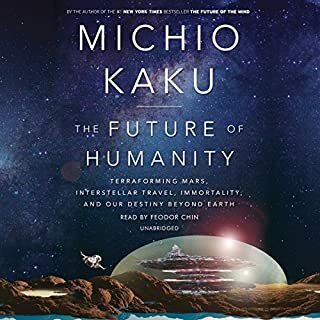 This book wonderfully explains the universe we're home to. Answering some of our most burning questions in an easy to understand way, this is must read for all. 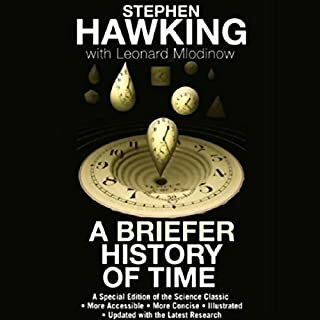 Magnificent work by the legendary Stephen Hawking and wonderfully intelligent Dr. Leonard Mlodinow. Once I started listening to this book, I paused only briefly,then listened all the way through. THE GRAND DESIGN delivers on promises to explain incomprehensibly abstract concepts in a manner accessible to non scientists. The topics were discussed thoroughly, and the analagies given helped me to picture the various acrobatics of teeny tiny particles. The scientific method, it's history, and rocky road to the elegant system of understanding reality we have today, were also described, in terms of "sciences'" own mistakes and ravenously canibalistic culture where truth/evidence/transparency/descriptive and prescriptive powers are valued more than the feelings/reputation of any given scientist. This book does a great job of explaining WHY some deeply held "values" are fallacious, and based on specious arguments, and can be easily deconstructed. 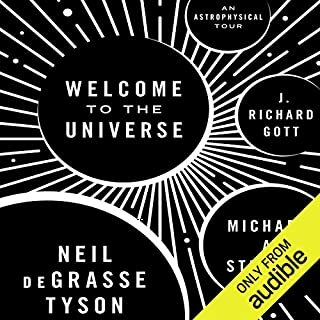 I enjoyed listening as such seeemingly odd physics were detailed, because the quantum world is so counter intuitive to our macro world. I recommend this book more so than "A BRIEF HISTORY OF TIME", because this new book is entirely more entertaining and compelling. 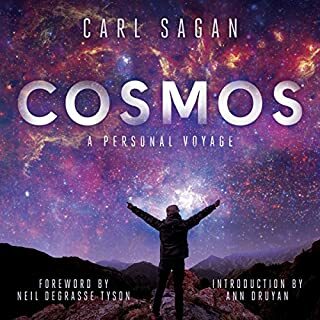 It is a lovely addition to the many wonderful books, written by non believers, which popularize science, and more importantly, teach critical thinking. 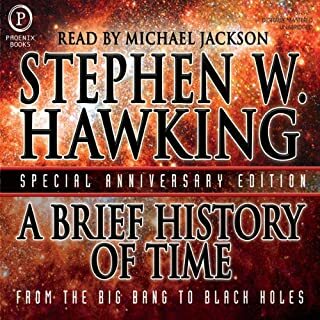 Hawking and Mlodinow present a great listen. It does get fairly heavily, but stays reachable. Despite what you may have seen in the media, they do not rule out the possibility of God. My only warning: Be careful listening to it in traffic. Some of the concepts require a fair deal of vizualization, and I nearly had 3 accidents because I was looking at the pictures in my head instead of the road. Buy it. You'll ejoy it, and you'll be able to harass both the establishment and the clergy with the knowledge you pick up. I thoroughly enjoyed the journey that this book took me on. 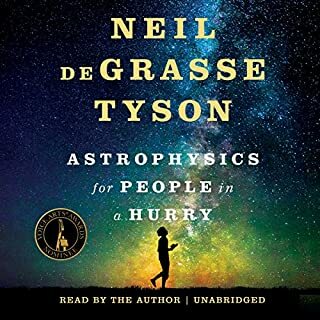 It was a great overview of a lot of physics that I already knew through many other readings, but also a great lesson in the history of man's knowledge about the world and universe we live in. 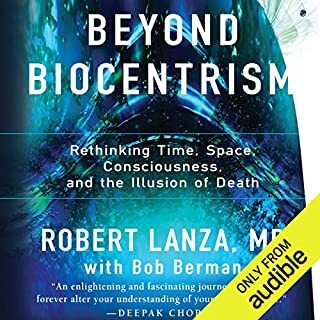 While the authors do overextend themselves to a realm outside of physics when trying to declare the lack of need of God, I share their belief so I appreciated their conclusions. There will be many knocks on this book for stepping outside their box, but that WAS their point. 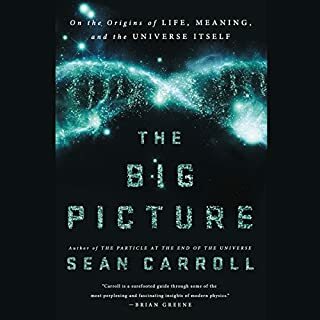 While this is a science book written by physicists, it is also their take on the question of the origin of life, the universe, and everything. Just read the title, it's not called "How Physics Explains the Universe". 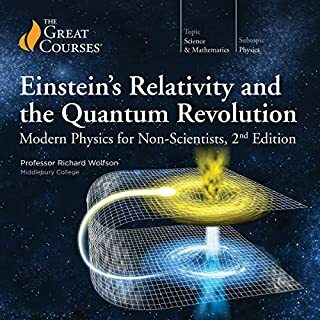 This book would be better suited as a lecture for graduate-level physics students than the casual fan of science and the cosmos. At least three quarters of the book is dedicated to particle physics, and I didn't really see the tie-in to a "Grand Design". 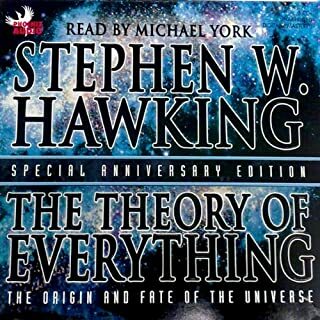 It's mainly one big pitch for M theory being the "theory of everything", but it didn't connect with me. The narrator has a great voice and is easy to listen to, which made it possible for me to stick through the entire reading. 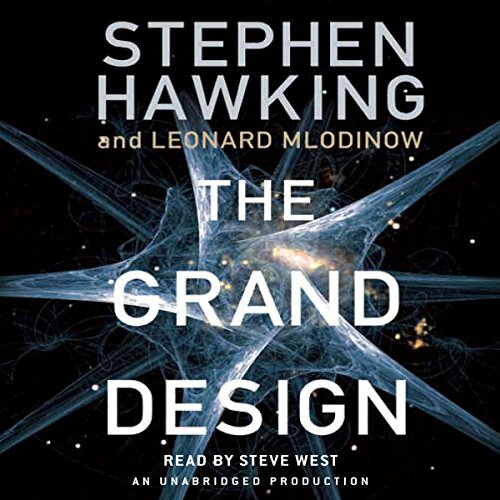 When Hawking sticks with physics (99%of the book), the Grand Design is mind-blowing. 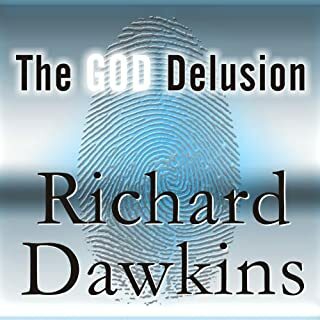 On the few occasions when he waxes philosophical and theological, he unfortunately looses his scientific moorings and makes value judgments beyond his pay grade. 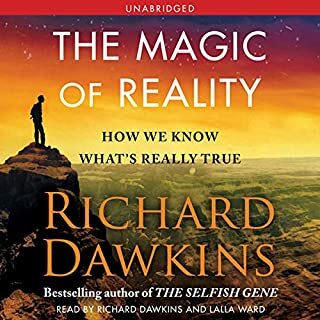 Just like the egotisim of religion that has led to the conviction of Galileo for embracing the Copernican "heresy" by the church, the egotisim of scientific knowing (the theory of everything) apparently leads to the tempting myth of knowing everything else (philosophy, theology, metaphysics) as well. 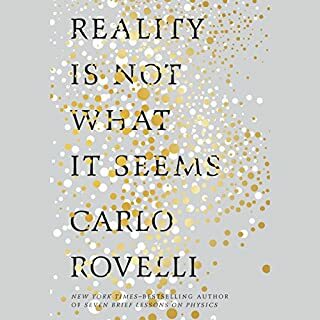 This book is an amazing status report on the nature of scientific reality. Stay tuned for new editions of reality. Excellent reading of excellent material. A bit deep for me toward the end, but another listen helped. What did you like best about The Grand Design? What did you like least? I really like the thorough explanation of 'model dependent realism'.I don't like the fact that despite the flaws of relativity, the author projects it as absolute truth and uses it as a basis for validating M-theory. 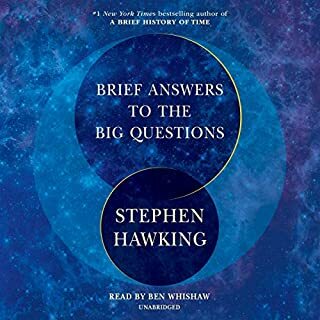 What could Stephen Hawking and Leonard Mlodinow have done to make this a more enjoyable book for you? The book carries primarily one school of thought and focuses too much on main stream physics. A discussion of recent experiments showing faster than light speeds, the source charge problem, wave nature of gravity, etc would have balanced things. The performance was okay. It is a challenge explaining scientific concepts to everyday listeners. Do you think The Grand Design needs a follow-up book? Why or why not? A follow-up book presenting the same views wouldn't be of any use. I've consumed a lot of content in this area (books, videos, etc). I felt like the authors were a bit distracted here. What is M theory. A discussion of creation myths and how they map to our desire to understand. I felt that the book jumped around a bit. I felt the treatment of M theory to be a bit lacking. I did learn some things. I came away with a much greater appreciation for Feynman, especially. But I was also a bit disappointed. 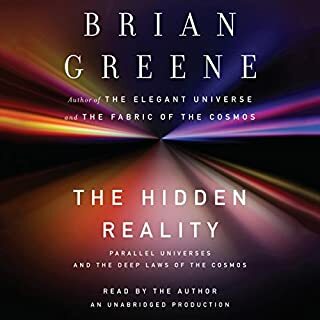 I'm not sure how to compare the content of this book to that of Brian Greene, but Dr. Greene does weave a better narrative. This book was surprisingly vague and uninformative. 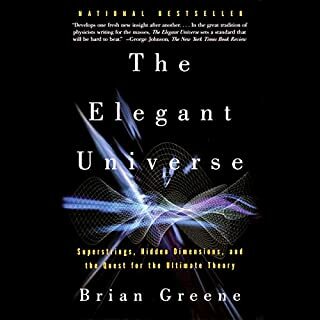 One Scientific American magazine about the multi-verse theory or a decent article about string theory would cover almost all the topics brought up in this book. 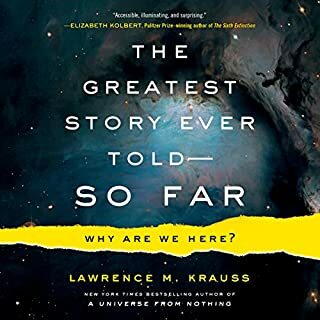 Therefore, I would only recommend this book to people who have absolutely no prior exposure to the multi-verse theory. 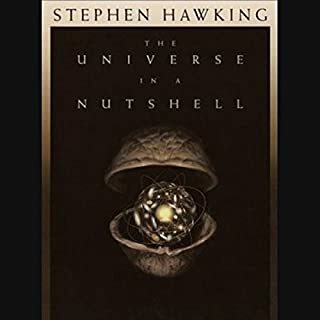 I am a fan of Hawking and read and listened to many of his works. After llistening to The Grand Design I thought the whole new thing could have been stated in an essay or a lecture. The science facts were almost all repeated in his prevous books. However he got the talent to weave these facts into intellegent works. Going through the book one might think he was arguing the exact opposite: (there were a grand designer) but he made his point towards the end.